Anyone else planting a garden this year? What are you planting? or what perennials do you have coming back this year? I live in the dark and have mostly shade plants.....I have one sunny spot to plant lettuce, tomatoes and peppers. this year we are not planting anything. with the major construction going on, the big huge trucks in and out of our driveway and everything being torn up, we are taking a year off. Normally we plant tomatoes, different types of basil, peppers, lettuce. In our front garden we have a dogwood tree that was planted last year, and some different flowers. Hopefully our front garden will not be damaged. We've always done a container garden but this year we plan on having a full fledged garden since we have the room. I think we are going to plant various types of tomatoes, basil, different types of peppers, zucchini, lettuce, carrots, and pumpkins (for the kiddos). I really only grow herbs on my front porch, which gets blasted with sun, in pots. My back yard is small and extremely shaded by three very large century oaks. Also, my father is a retiree who occupies his time with a giant garden. He provides myself and my siblings with more produce than we know what to do with. I had to quit the LEAF CSA because of him. I'm not complaining! 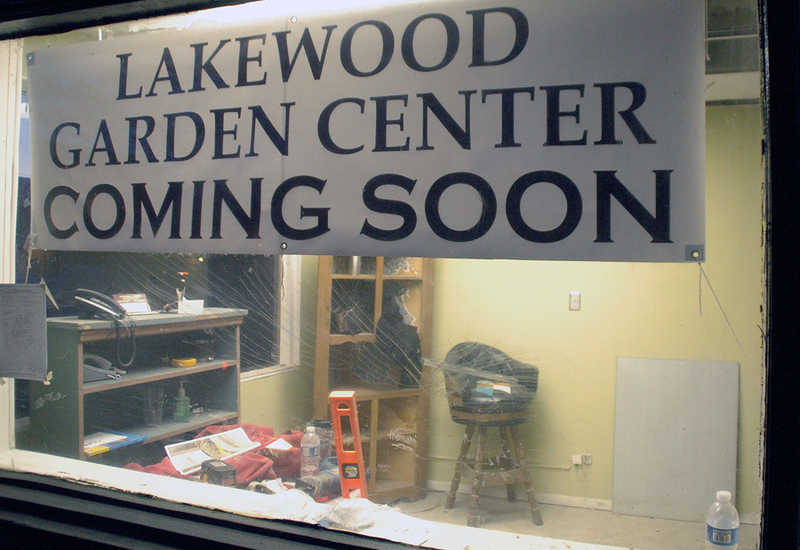 Just a note to all Lakewood gardners, it looks like the Garden Center at Detroit and Brown is coming along nicely. There is an "opening soon" sign and there are pallets of soil (or mulch?) ready to go! I am looking forward to their opening! Esther Hazlett wrote: Just a note to all Lakewood gardners, it looks like the Garden Center at Detroit and Brown is coming along nicely. There is an "opening soon" sign and there are pallets of soil (or mulch?) ready to go! I am looking forward to their opening! Us too! So close to go down and get stuff I need when I am in the middle of yardwork. I wonder if I can walk home with more than one bag of mulch! 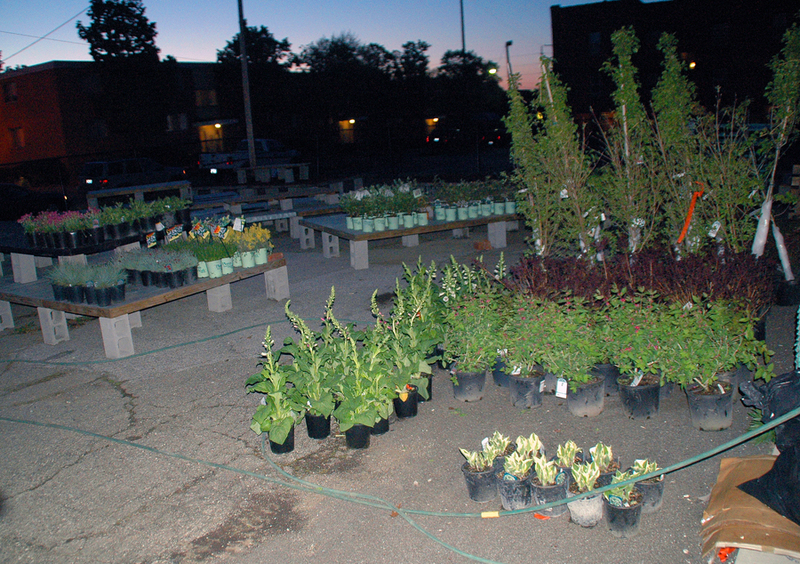 What I didnt get in the elementary school plant sale, I plan on supplementing at the new garden store. Opening this weekend, if everything goes right with the city! I can walk there too. We can all meet up with our wagons!!! There are always pots you can plant in the front yard. I'm thinking of planting an herb pot or two this year. Haven't tried it before, but it doesn't look too hard.